For Clay Blackall, a lifelong resident of Providence, Rhode Island, the place has become an obsession. Here live the only people who can explain what happened to his brother, Eli, whose suicide haunts this heartbreaking, hilarious novel-in-fragments. A failed actor impersonates a former movie star; an ex-con looks after a summer home perched atop a rock in the bay; a broken-hearted salutatorian airs thirteen years' worth of dirty laundry at his school's commencement; an adjunct struggles to make room for her homeless and self-absorbed mother while revisiting a scandalous high school love affair; a recent widower, with the help of a clever teen, schemes to rid his condo's pond of Canada geese. Clay compiles their stories, invasively providing context in the form of notes that lead always, somehow, back to Eli. Behind Clay's possibly insane, definitely doomed, and increasingly suspect task burns his desire to understand his brother's death, and the city that has defined and ruined them both. 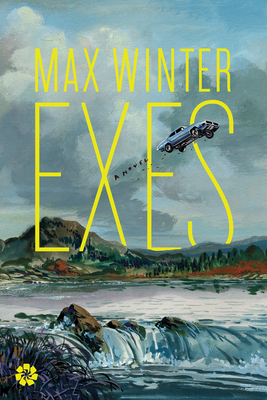 Max Winter is a graduate of UC Irvine s MFA program, a recipient of two Rhode Island State Council on the Arts Fellowships in Fiction, and a finalist for the 2012 MacColl Johnson Fellowship. He contributed to the Webby Award-winning narrative app The Silent History (Ying Horowitz & Quinn, 2012), edited the literary journal Faultline, and has been published in Day One and Diner Journal. He lives in Providence, Rhode Island with his wife and son."